Pokemon new game Platinum is going to be released on 13 September in Japan. Two new CM are now on air. What does Diamond Pearl Platinum official stand for, apparently it is called 'DPt'. Includes atomic symbol Pt as Platinum. PokemonJP announces new Pokemon TCG series DPt on 10 October. Can we call it Y.M.O ( Yellow Magic Mouse Orchestra ) ? Japanese musician Kaseo performed circuit-bending music with 12 Pikachu at Tokyo last year. He modified the electronic circuit in Pikachu figure toys, then made musical instruments. Kaseo's official site : bEnt or diE ? 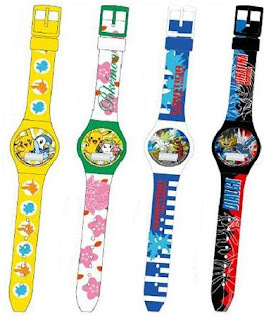 Several Pokemon watches are released recently, would clarify them here. As for order of Ensky's watch, please check the following YesAsia's links. New forme ? Tipsy Pikachu !? 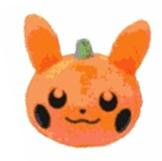 It's Panpukin Pikachu plush for Halloween from PokemonCenterJP, will be released in September. Rotom pokedoll as well. Oh found the true of Shaymin Sky forme. As for Gible, Azelf figures from TomyMC, a photo is uploading to the previous article. 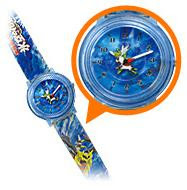 Toysrus Japan starts the Pokemon promotion, to present Pokemon Body Paint Sticker (can stick it to your arm, face or etc as you like, one time use) on 17 July to 31 August. Bandai will release the following Pokemon Models (assemble kits, candy toys) on 30 September. 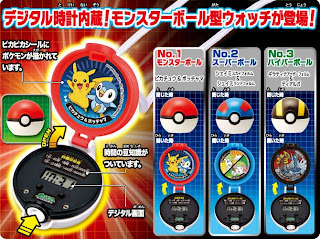 Photo of Bandai Pokemon Kids Starter mate (release on 15 Sep) is replaced in previous article. As for figure display, AAPF receives many inquiries especially without stand figure (like TomyMC Articuno, Moltres etc). In previous article, figure table for with stand figure was introduced. 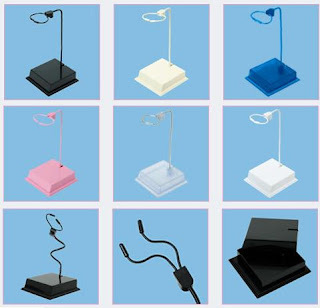 Here is recommendable stand-kits, Mini MS (mobile suit) stand from HobbyBase. It can hold the figure in any position. Actually it was developed for Gundam MS figures, but can be used for other figures. Photo of Pikachu, Shaymin's fullbody puppet is uploaded to previous article. 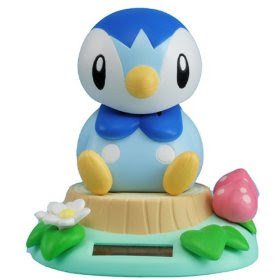 Tomy will release Piplup Nohohon (meaning in Japanese: 'relaxation', also known as 'the Sunshine Buddies') figure at 28 August. It is a solar powered swing-head. As for Pikachu Christmas version, please refer to Pikachu Nohohon figure. Schoolchildren magazine published in August from Shogakukan, primary grade 1 and 2 have the following Shaymin's freebie. As for new five pokemon, Platinum official site has added the page as hot news. Detail will be unveiled in the same page and on Corocoro October's magazine (13 September publish). 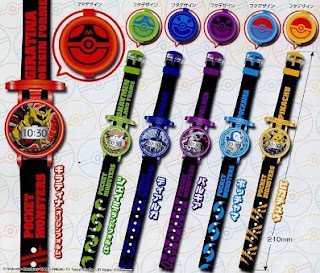 In 2ch Platinum thread, one person uploaded rest of Corocoro scanning page with good quality. BTW, Pokemon blog BlueSky was attacked from 2ch users (via network, comment/trackback flood writing etc) last night, then the blog closed temporally. Because the blog violated the copy right rule, the photo was copied without quotation/permit from another personal blog who uploaded the photo by buying. 2ch users sent several warnings/complaint to BlueSky so far. Now everything is OK, Blue sky is running as usual. Info or news handling site includes my site AAPF, must care quotation. Please reconsider this in your site. 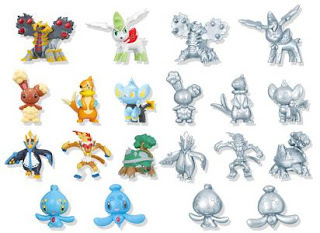 Bandai will start to present Pokemon Kids 10 pcs set other color version (Shiny Pokemon) in September 2008 to March 2009. TomyMC Diorama 8pcs figures set is included the following Battel Scene figures as prior release. The following file is latest Platunum game prevew in Pokemon Festa 2008, held on 9 August (just 4hours before) at Yokohama. Included The Torn World, Battle Frontia and unknown 5 silhouettes etc etc. Original is uploaded at Niconico movie service. Thanks to niconico & 2ch thread. As for unknown 5 silhouettes Pokemon, 'Pokemon Scoope' as detailed info will be enclosed in Platinum game package. 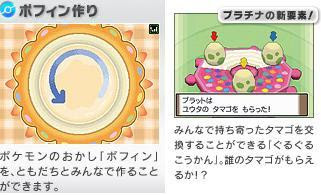 The following photo is uploading in Japanese huge message board service 2ch Platinum thread. Will post more detailed soon. 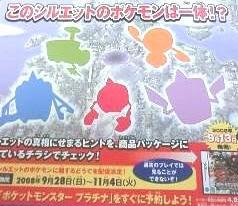 As for unknown 5 silhouettes Pokemon, 'Pokemon Scoope' as detailed info will be enclosed in Platinum game package accroding to Platinum latest game preview in Pokemon Festa 2008. Pokemon official site uploads the info to this page. One additional info : Delivering item can be shared to other persons who has Platinum game till 5 times. Bandai will release the following 10 figures in the end of November as Super Get Plutinum World 02. All 10 figures has plutinum color version. If interesting, please check the following PowerAnime's link. Photo is uploading to the previous arttilce. Gashapon-shop M.f1rst has more various photos. 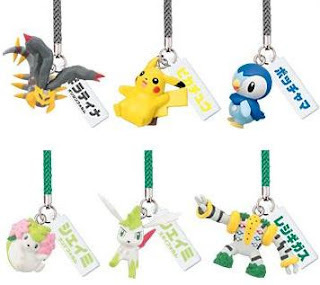 Yujin releases 'Pokemon Netsuke (strap) Mascot Movie 11th version', the following 6 figures in the end of July, gashapon toys. Shougakukan publishes the following book 'Pokemon Animation All Adventures Guide' on 25 July. Here is sample scanning for your glance. Sure, we can call it "All About Pokemon Animation for 11 Years"
Shogakukan's Pokemon page uploads the partial photo. We can see Combee, Vespiquen, Gabite, Gabaito, Garchomp and Palkia. Photo for Bandai SG Platinum World 01, release in September is uploading. All 10 figures has plutinum color version. #14 Kakuna is added as new line, now available at PokemonCenter Tokyo, official site will update it soon has updated it. Heartland releases the following puppets on 25 July 2008. 10 August : kakuna T-Shirt is added in Pokemon 151 Official site. 15 August : Uploading photo of Pikachu, Shaymin's puppet.